Midweek Roundup (Brought to you by the letter B). The Britannicas-The Britannicas. The Britannicas are a power pop supergroup of sorts, consisting of Herb Eimerman, Magnus Karlsson and Joe Algeri. All three of them each have a vast body of solo and band work on their CVs, and all share a love of 60-styled pop in the manner of the big three Bs (Beatles, Beach Boys, Byrds). So it's fitting their own band begins with a B and borrows from those three. It's also fitting that the disc leads off with a track titled "Those Good Vibrations", but it owes more to the jangle of the Byrds than to the pop of Brian Wilson. Eimerman's "Baby Say Yeah Yeah" is old school power pop, Algeri's "Friday Night Alright" sounds like a lost Nuggets classic, and "Stars" brings the jangle in a great way. 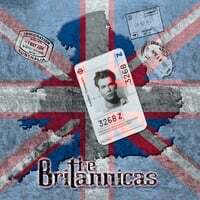 If the idea of 3 power pop vets at the top of their game bringing the 60s back to life is your cup of tea, the Britannicas are for you. And it has the imprimatur of the Kool Kat label, so you know it's quality. 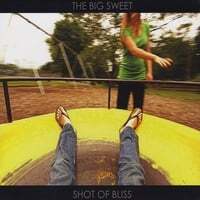 The Big Sweet-Shot of Bliss. The Big Sweet hail from Ohio, and their debut disc Shot of Bliss is an impressive mix of indie rock and power pop, drawing from influences like Big Star, The Replacements, Pavement and Television. Oh, and by the way these guys are only 16. If you didn't know this fact, it'd surprise you after listening to this debut that sounds like a band 8-10 years its senior. There's plenty to like here: the early Wilco rock of "Dress Up Your Mind", the poppy Replacements sound of "So Fine (You're Mine)", the indie rock of the title track, and the acoustic "Good & Down Youth". And they have the good taste to go with "September Gurls" as their lone stab at a cover here. If these guys are the future of power pop, then power pop may be in good hands. 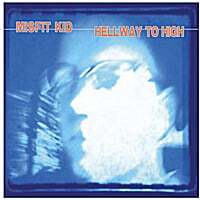 Misfit Kid-Hellway to High. North Carolina's Mark Ivantich is Misfit Kid, a name he takes from a 1980 Cars song. He doesn't take his sound from The Cars, though - instead this 7-track EP/mini-album is a more Posies-like affair. "Right Where You Oughta Be" reminds me of one of Ken Stringfellow's moody opuses while "Sugar & Spice (She's Just a Girl)" calls to mind one of Jon Auer's peppier power pop numbers. "Stronger" is another barnburner and "Training Wheels (For My Heart)" might just be the best track on the disc, a languid midtempo tune with a warm chorus. All in all, a strong solo debut from the former frontman of Gravity's Pull, a 90s band that had some success on the East Coast. 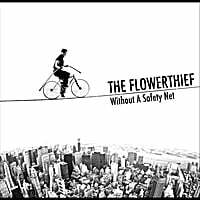 The Flowerthief-Without a Safety Net. This is the second album for The Flowerthief, a San Diego band that specializes in tuneful indie pop not unlike The Minus 5. After the contemplative "Lonely Man's Paradise", the disc kicks into high gear with the uber-catchy "Just a Minute" and the folky pop of "Late". Other standouts include the McCartneyesque piano pop of "Gioconda Smile", the Lennonesque "Favourite Pill", and the straight-up power pop of "June Gloom". 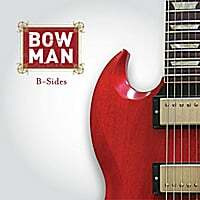 An eclectic yet accessible release for this band who pulls off their high-wire act. Video of the Day, Damien Lott-"Erase and Fall"
This disc is available domestically at iTunes and at eMusic, and you can hear more at his MySpace page. Rob Laufer-"How I Love You". A sweet love song and a nice tune, not included on his recently released Excruciating Bliss. Check it out at iTunes. Back in 2004, Bowman (named after frontman and chief songwriter Bill Bowman) released Living to Dream, one of that year's best power pop albums, and had this blog been in existence then it would have easily made that year's top 20, if not top 10. Mixing influences such as Jason Falkner, Myracle Brah and Del Amitri, Living to Dream is a must-have for power pop fans. But after making that splash, we've heard nothing from Bowman until very recently, when we got two pieces of good news. First, they're back in the studio working on a followup, and second, they've released a 6-song EP of B-sides from the Living to Dream sessions. Let's just start off by saying that these "B-sides" are better than most bands' A-sides. "Right in Front of Me" is a rocking track that sounds just "modern" enough to warrant radio play; "Bye, Bye, Bye" is classic Matthew Sweet-styled power pop; "Learn How to Feel" is where the Del Amitri comparisons come in, and "Jump a Little Lighter" is a well-executed power ballad. It's good to have Bowman back. 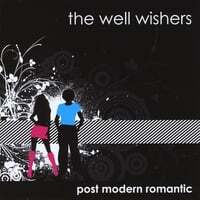 The Well Wishers-Post Modern Romantic. When it comes to certainties in life, there's death, taxes and Jeff Shelton. For over a decade now you can count on a quality new Jeff Shelton record, be it the Spinning Jennies or his current band, The Well Wishers. But if for some reason you need an introduction, the easiest way to sum up the Wishers would be say that they're the Posies of the 21st century. Post Modern Romantic continues the string of excellence, as it cranks up the amps a bit. The opening triumvirate of "Run Away", "Hanging On" and "All or Nothing" are crunchy guitar pop as good as you'll hear this year. It's not until "Someone Else" that we hear the "classic" midtempo, slightly jangly Shelton sound, and "Consequence of Love" also fits this bill. But it's the slightly heavier edge that dominates here, and tracks like "Grammareater", "Sorry About Your Politics" and "Flatlined" manage to capture that edge without sacrificing melody. 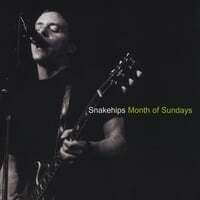 Snakehips-Month of Sundays. It seems that lately I've been stumbling upon more and more bands out of Memphis. After finding The Bulletproof Vests a few months back, I've now come across Snakehips. They've been around since 1993, and Month of Sundays marks their fifth disc. This is straight-up melodic rock'n'roll, and while there is an Alex Chilton/Replacements element to their sound, I also hear a lot of Willie Nile and Ike Reilly as well. Frontman Mark Harrison does sound vocally a lot like Nile, and the infectious opener "Walk Away" sets the tone for some enjoyable classic rock. "Time to Cry" and "Sheena" are a couple of more assured rockers, "Wonderland" is vintage power pop, and the spare, lovely "When I'm Blue" shows that Harrison & Co. can pull off the slower numbers. Rock 'n' Roll (and power pop) needs the true believers who stay faithful to the sound while keeping it fresh, and Snakehips fight the good fight. The first thing you need to know is that Billy Goodrum is a music pro. He got his start at the Berklee College of Music, went on to play with jazz legends Lionel Hampton and Ronnie Laws, collaborated with Vanessa Carlton, and has scored numerous films and TV shows - most notably a series of Farrelly Brothers movies. He performed one of his own songs on the Kingpin soundtrack and turned in a fine cover of Steely Dan's "Razor Boy" on the Me, Myself & Irene soundtrack. 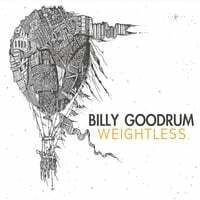 All the while, Goodrum has been writing and recording pop tunes here and there (some which have been heard in films), and has accumulated enough of them over the years to release his long-in-the-making debut album Weightless. It was worth the wait as he's crafted one of 2010's best releases, one that should appeal to pop fans across the board. Perhaps the most direct comparison here would be another music pro much beloved in the power pop community, Seth Swirsky. Like Swirsky, Goodrum makes his hooks and melodies sound almost effortless while still being durable enough to hold up on repeated listens. This is demonstrated on the first track, "I'll Stay With You", a midtempo number that features a nice piano hook. And the hits keep on coming: the folkish "Hold On", the Chris Von Sniedern-esque "One Last Kiss", the more rocking title track, and the Beatlesque "Finished", where the Swirsky comparison is most dead-on. This is just scratching the surface, as you also get the straight-up power pop of "Nerve Up", more Britpop with "Everlasting", and the sublime "Between the Eyes". Rounding things out is "We Should Always Be Together" the aforementioned Kingpin track. With its song-to-song uniform high quality, Weightless plays like a greatest hits album and given Goodrum's history it really is one, albeit a greatest hits collection of almost exclusively unreleased material. This one's a likely shoo-in for my year-end top 5, and could contend for #1. 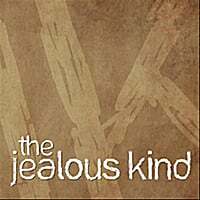 The Jealous Kind-The Jealous Kind. The Jealous Kind are Colorado’s Josh Queen and Tennessee’s Dave Wright, a pair of singer/songwriters who have come up with a radio-friendly sound reminiscent of bands like Tonic, The Wallflowers and Counting Crows on their debut EP. "Come Down" is the kind of track you might have heard on the radio in the late 90s or early 00s, "Imitation Honesty" brings a bit of Del Amitri to the mix, and "Beautiful Regrets" leaps right out of the speakers. 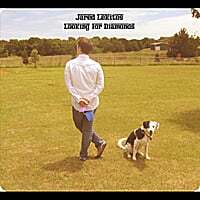 Jared Lekites-Looking for Diamonds. Oklahoma's Jared Lekites has a self-professed love for the sounds of the 60s, and draws on Brian Wilson and John Lennon as influences on his debut EP. "Love That Lasts" recalls Wilson's solo work, as it's both anthemic and melodic, while "Looking for a Diamond" sports a quirky melody and a glorious harmonica solo in the middle. "The Electric Car Ballet" is a fun number extolling the demise of the combustion engine, and "Let Your Hair Down Once in a While" is a bit more brooding than its title might indicate, but is a wonderful track nonetheless. 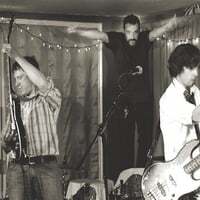 Psych-rock/power poppers The Grip Weeds have a new album coming out in late June, titled Strange Change Machine (as you can see on the right). It's going to be a 24-track double-album extravaganza, and as a teaser for this behemoth the band is offering up a free download of eight tracks from the disc. The Figgs-The Man Who Fights Himself. The Figgs reign as power pop royalty, having been around for 23 years and 10 discs as well as serving as Graham Parker's backing band. Disc #10 may very well be one of their best, as The Man Who Fights Himself finds Mike Gent & Co. in top form. "Gone Spent" might not be as rip-roaring as some other Figgs disc openers, but it's a mature, assured midtempo tune that lets you know the grownups are in charge. The moody, jangly "Stuck on Leather Seats" is reminiscent of Gent's fine solo disc from last year, and "Ravena" is classic Figgs rock. "She Can't Say No" is another standout, and you shouldn't say no to these power pop legends at the top of their game. 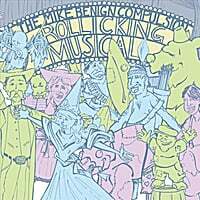 The Mike Benign Compulsion-Rollicking Musical. Milwaukee brings us The Mike Benign Compulsion, purveyors of Midwestern power pop not unlike The Shoes or The Bradburys, and Rollicking Musical is just that, a rollicking set of tunes both catchy and clever. "Legendary Heroes" and "The Soothing Sounds of Seals & Crofts" comply on both counts, with the former hitting just the right nerd-rock vibe and the latter follows its title with "make me want to put a bullet in my brain". "All The Married People" features an irresistible guitar hook, and "She Believes It" sounds like Crowded House if Neil Finn grew up in Milwaukee and had a smartass streak. Other highlights include the garage sound of "What a Way to Go" and "Hotel Bar", the best song about a bar since "Here Comes a Regular". Give these tracks a listen, and your compulsion will be to pick up a copy.